I'm proud to announce Okie's and Yogi Bear's first litter together. This is a fantastic litter of outstanding puppies born Tuesday August 16, 2016. I am accepting deposits on this litter to reserve them until they are ready to go at 8 weeks old on Tuesday October 11, 2016. The deposit is $200.00 and goes toward the purchase price. NO puppy will be held without a deposit. Okie and Yogi Bear have 5 males and 3 females in this litter (The females in this litter have already been reserved). These puppies are awesome quality puppies that are well suited for any job that they are given! I expect these puppies to have the same out going personality and even temperament as both their Parents and Grand Parents. These puppies will come with our 1 Year Health Guarantee, Health Records, current Puppy Vaccinations, current de-wormings, Micro Chipped, a Puppy Starter Kit and a Life Time of Breeder Support! These puppies have had their dew claws removed to prevent any future possibility of having them ripped or torn. I've listed these puppies with two prices, $1035.00 "Pet Price" is without UKC papers or the "Papered Price" is $1635.00 with FULL UKC registration papers. If you purchase a puppy from us at the “Pet Price” we do give the option to obtain the FULL registration papers for the additional "Papered Price" before the puppies turn 1 year old. (****We do participate in the Pay Pal Bill me Later option if you have an existing Pay Pal account*****). Okie's Dam has an extensive and VERY impressive pedigrees that show in this litter of puppies. Okie's Grand Sire on her Dam's side of her pedigree has 23 titled dogs in the first 4 generations with 6 European Champion titles and 3 dogs have a World and International Champion titles! Some of the dogs in his pedigree are: INT.CH. NARDO V BOUWELHEI (BELGIAN), NED. CH. IRCA V BOUWELHEI, 4X WORLD CH. UGO DE LA FONTAINE DU BIS MONDIO 3, (FRANCE), CHRIS DU BRUCH DE L'ANDLAU IPO 3, (FRANCE), CH. RAKER IPO1, (HOLLAND), CH. BROAD CREEK'S CHINA DOLL, CH. LIANIQUE'S CLYDE CD (HOLLAND), CH. JOERIE PH2, KNVP, INTL/BELG/FR. CH WSGR QU'RACK DU BOIS, (BELGIAN), MANSOUR DE LA FONTAINE DU BUIS FR3, HADDOCK DES DEUX POTTOIS SCHH3, ERIKA V LOWENFELS IPO3, CH. WINDRUSHS MILKA OF BROADCREEK, CH. BROADCREEK'S GOT THE MOVES AND NED. CH. LIANIQUE'S KELLY, These are just some of the many impressive dogs in Okie's Pedigree on her Grand Sire's side. Okie's Grand Dam, 4 Bar D's Sweet Asia comes from the Old Heartland Belgians Kennel in Oklahoma when Louis was alive and NOT from the current owner. Asia has a quite impressive pedigree including: CH LIANIQUE'S CLYDE,CD,(NETH), KNVP FRIEDA'S HOME SAM V192262(NETH), KNVPARRAS, IP1(NETH), HOL CH LIANIQUE'S KELLY(NETH), HOL CH/KNVPV KUKAY'S QUATRO, PH2/UV/ML(NETH),WRLD CH HALUSETHA'S IGOR IP3(NETH), GRDP /KNVPV KUKAY'S RAISSA, PH1(NETH), KNPV MARK V D LEESTHOF, PH2(FR), KNPV MARISKA V D WILDE POLDER(NETH), INT/HOL. CH KORAN VAN BALDERLO, IPO1(NETH), HOL CH LIANIQUES ARCA(NETH), CH CROCS-NLANCS' D'ARTAGNAN,CDX(OFA46G), CH ONE MORE CONTARI MARI, CD, 5XWLD/FR CH EGLOS DU CHEMIN DES PLAINES BR3, FR3/MR30-(FR), LANDO, IPO3/PH2(NETH), NVB/FIN CH IKA, IP3(NETH), KNPV DJENNA, PH1(NETH). Okie's Grand Dam's pedigree goes on and on with over 84 World, International and titled dogs in just the first 7 generations. These dogs have strong, but not over the top KNVP and NBVK working lines. Several of them have PH, IP, IPO, FR, ML,CD, CDX, BR, NHSB, CAC, CACB and RCAC titles. Asia is an awesome girl who can do anything. She can be very laid back, but can also go from loving to Maligator when she needs to. These puppies have been purchased for use in Law Enforcement, SAR, Arson K9s, Personal VIP K9s and family companions. Asia's past litters are of excellent quality and have been rated by an AKC judge to be of excellent quality and have met or exceeded the AKC breed standard. Our puppies go to either Law Enforcement K9s, SAR K9s, Personal Protection, Arson Detection K9s or personal family members. Okie's Grand Sire on her Sire's side of her pedigree is a direct Hungarian import Huntitan Bomba (Neko) and her Grand Dam on her Sire's side is 4 Bar D's One More Lacona who's pedigree's are also very impressive! Lacona comes out of the older, out standing lines of the Heartland's Kennels and her pedigree includes some of the best dogs in the World! 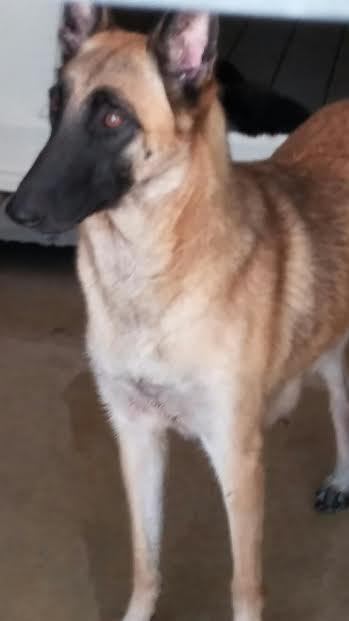 Go to http://www.pedigreedatabase.com/belgian_malinois/search.html?q=HEARTLA ND'S BRIGGS&index_in=All&results_in=10 to see the pedigree on Lacona's Grand Sire on her Sire's side. Go to http://www.pedigreedatabase.com/belgian_malinois/dog.html?id=483406 to see the pedigree on Lacona's Grand Sire on her Dam's side. 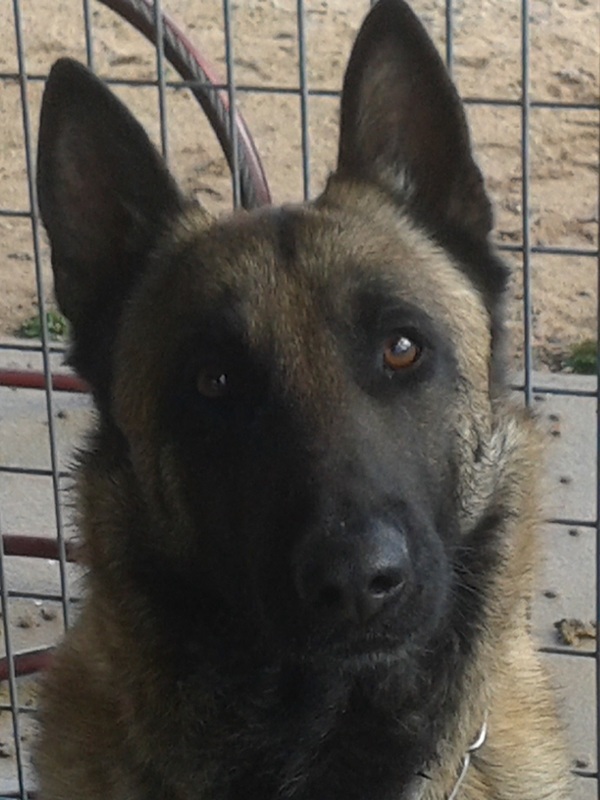 Go to http://www.pedigreedatabase.com/belgian_malinois/dog.html?id=296455 to view Lacona's Grand Dam's pedigree on her Dam's side. There are ton's of titled and Champion dogs in Lacona's pedigree that go back as far you want to go in Lacona's pedigree. Huntitan Bomba (Neko) was imported directly by Scott from Hungary and was bred by Nagy Sander Marton. He's registered with the MEOE FCI DATABASE, the Hungarian Kennel Club and is also registered and DNA'd with the American Kennel Club here in the United States. His hips and elbows have been OFA'd GOOD. Neko is a dark red sable and stands 26 inches tall at the shoulders and weighs 64 pounds, Neko's pedigree is quite impressive with several European Championship and titled dogs such as his Sire BELPHEGOR HJCH, 8XBOB, 5XCAC, 5XHPJ, DGY, CAJC and he's HD 0, BH. Neko's Dam is IDA FOXDOG HJCH, 2X BOB, CACIB, 3XCAC, 3XHPJ and she's HD 0. Other dogs in Neko's Dam's side of his pedigree are: DEFECT SWEET HOME SchH2, IPO I, IPO III, HD 0, SG URS VON LOWENFELS WELTMEISTERSHAFT 1996, IPO 3, FMBB 95-1 SCHH3, SG OSCAR VON LOWENFELS SCHH 3, HADDOCK DES DEUX POTTIS RING 3, G'VITOU DES DEUX POTTOIS FRENCH RING 3, BELG RING 1, VIZIR DU CHRISKAROL RING 3, CARTOUCHE NVBK RING 1, NVBK 82-1, 83-1, CH F QUACHA DU MOUSCRONNAIS, SAMY DU MOUSCRONNAIS RING 3, G'BIBBER ALSH BELGIAN RING 1, FIN 87-1, BOB HARAGE CAMPO SVV2, IPO 1, CAC, CACIB, SG FIGIE KORZAR SVV 2, IPO 1, ELGOS DU CHEMIN DES PLAINES FR3, MR3, 6X WORLD COMPETITOR, MATCH DES DEUX POTTIS MONDIO 2, ATOS LOF, RING 3, ITHOS DES DEUX POTTIS RING 3, FAXY DES DEUX POTTIS RING 3, QU'RACK DU BOIS D'EMBLISE RING 3, BELG CH TR CQN RE, WS, B=FR & INT CH, CELIDA SWEET HOME SVV1, RCAC, V ADAK MIRS IPO 3, IRO, FIN, WM, ASUNTHA Z HANKY, IPO2, SONJA VAN TASCA'S HOME RCI 3 FIN., PACHA DES DEUX POTTIS MONDIO RING 2, CASTOR NHSB PH 2 FIN, 88-2, MARK VAN DE LEESTHOF KNPV PH 1, PH 2., INT CH. ROLLY DU COLOMBOPHILE., CHILA DE LA COURTEPOINTE SCHH3, DEKX LOSH B RING 1., ALWIN LUFTY FMMB 97-32, SCHH3, IPO 3, RCI., DARI MALIDAJ IPO 1, QUIEVINE DES DEUX POTTIS IPO2, AGATHA Z HANKY IPO3, FMBB 97-35, Some of the dogs in Neko's Sire's side of his pedigree are: RING 3 FIN. GOTHA DES BERGERS VAILLANTS, RING 3 BRIAN LOI, IPO3 LOURI DES DEUX POTTIS, IPO3 HOLGA DES DEUX POTTIS, RING 3 FIN 84'14 85'9 86'9 87'22 88'22 CPG F CH ROBIN DE LA FONTAINE DU BUIS, RING 3-MULTI FINALISTE RING MUTIN DE LA FONTAINE DU BUIS, PH 1 EIK DES DEUX POTTIS, RING 3 FIN. 76-1 JONY DU COMTE DE RIBEAUPIERRE, PH2 JALK NVBK, RING 3 VICQY DU FAUBOURG DES POSTES, RING 3 JUDO DE LA FECHT, RING 3 ITHOS DES DEUX POTTIS, CPG 500 FIN. 99-9. RING 3 LARRY DE VULCAIN, RING 3 HENJI DE VULCAIN, CHT/R-RING 3 DRAKKAR II DE LA ROCHE FENDUE, RING 3 FIN CPG 500 FIN OTHAR DE LA NOAILLERIE, RING 3 BOB DU DOMAINE DU CAMELEON, RING 3 SIR DE VULCAIN, RING 3 FIN CPG 500 FIN XJELABA LOSH, RING 3 URGO DE TURENFELS, RING 3 YALK DU BOSCAILLE, RING 3 BALZAC DU CREUX THATCHER, RING 3 TRIQUES DES TREVIRES, RING 3 URGO LOF, RING 3 FIN PIRATE DU BRISKA, these are just some of the dogs in Okie's pedigree. Her pedigree goes on generation after generation of World Class Champion dogs! Yogi is a big, stout boy weighing 85 pounds and standing 26” inches at the shoulders. Yogi is out of some of the best lines you can find. Yogi is registered with UKC (United Kennel Club). Yogi's pedigree has some pretty impressive dogs with multiple Champions and Titled dogs. His Grand Sire is Cedric V. H. Bijsterpark and his Grand Dam is PR Kacy Vom Snavely Hof. Some of the dogs in this Yogi's pedigree are: SCHH 3 AYKO VOM FORSTHAUS VDH/DMC, SCHH3 SG OSCAR VON LOWENFELS VDH, RING 3 HADDOCK DES DEUX POTTOIS LOSH, IPO3 RING 2 KOLOS DES DEUX POTTOIS ALSH, RING 3 VIZIR DU CHRISKAROL LOF, BELGIAN RING 1 FIN 87-1 G'BIBBER ALSH, RING 1 NVBK 82-1, 83-1 CARTOUCHE, RING 3 QUACHA DU MOUSCRONNAIS LOSH, RING 3 SAMY DU MOUSCRONNAIS LOSH, SCHH3 SASKIA VON LOWENFELS VDH, B RING 1 FIN GORDAN (TARZAN) NVBK RING 1 NVBK 68-1 69-1 NVBK, RING 3 JUDO DE LA FECHT LOF, RING 3 URGO DE TURENFELS LOF, RING 3 VIZIR DU CHRISKAROL LOF, RING 3 NERK VAN DE GRENTSSTRAAT LOSH, RING 3 MULOT LOSH, RING 1/B FIN GARI MOLENBECK LOSH, B RING 1 GINOU ALSH, B RING 1 ZINOL DE DOORNPLAS LOSH, KNVP POLICE DOG MONDIO RING 1 PH2 BRONCO PERLE DE TOURBIERE NHSB, PH1 EIK DES DEUX POTTOIS NHSB, PH2 JALK NVBK, PH 1 DONNA (D. v.d. WAL), PH1 FLAPY NVBK, RING 1 NVBK MISSOU LOSH, PH1 FIN NARCILO LOSH, PH1, PH II, KNPV CERT MET LOF ARCO PERLE DE TOURBIERE NHSB, PH 1 MARGO RUMPENERHOF NHSB, PH1 SILVA RUMPENERHOF, PH 2 CARLO RUMPENERHOF AND PH1 EIK DES DEUX POTTOIS, his pedigree goes on generation after generation of World Class Champion dogs! We do screen prospective buyers before we send a puppy out. Belgian Malinois are high energy dogs and need to have some type of formal training, at minimum basic obedience. They need to be socialized with everyone and exposed to everything possible in order to become a well rounded dog. This is not a breed that you just buy and put in the back yard and forget about them. They are very out going in nature and very easily trained. They'll do anything you want them to do for a word of praise and a good brisk rub and a pat on the head! In my opinion Belgian Malinois are the most intelligent breed of dogs that God has ever created! No matter how smart you think you are, they're always one step ahead of you. We ship our puppies with United Airlines to major airports throughout the United States of America. We can ship to: Alabama, Alaska, Arizona, Arkansas, California, Colorado, Connecticut, Delaware, Florida, Georgia, Hawaii, Idaho, Illinois, Indiana, Iowa, Kansas, Kentucky, Louisiana, Maine, Maryland, Massachusetts, Michigan, Minnesota, Mississippi, Missouri, Montana, Nebraska, Nevada, New Hampshire, New Jersey, New Mexico, New York, North Carolina, North Dakota, Ohio, Oklahoma, Oregon, Pennsylvania, Rhode Island, South Carolina, South Dakota, Tennessee, Texas, Utah, Vermont, Virginia, Washington and Wisconsin. Shipping usually runs about $375, but is based upon the size and weight of the puppy when shipped. Shipping covers the cost of the air fare, new shipping crate that you keep and the Health Certificate issued by our Veterinarian. Basically all you do is Pick your puppy, Pay for him/her and Pick him/her up at your airport. Check out our web site at www.4bardkennels.com to learn more about us and see what our previous customers have had to say about us and our puppies. Call or text Scott for more information at 580-665-1434 any time. I can also be reached by email at 4bardkennels@gmail.com. We do welcome folks to come out and visit with us and our dogs and puppies. We're located in beautiful South Central Oklahoma. Please call for an appointment. Sire to this litter is ​Kathy's Rascal Jax. He is out of World Class Championship bloodlines. Jax’s Sire is a Grand CH and he has many CH in his 1st 7 generations. You can check out his pedigree at http://www.pedigreedatabase.com/belgian_malinois/dog.html?id=2492395-kathys-rascal-jax. He has lots of personality, drive and is great to be around. We do screen prospective buyers before we send a puppy out. Belgian Malinois are high energy dogs and need to have some type of formal training, at minimum basic obedience. They need to be socialized with everyone and exposed to everything possible in order to become a well-rounded dog. This is not a breed that you just buy and put in the back yard and forget about them. They are very out-going in nature and very easily trained. They'll do anything you want them to do for a word of praise and a good brisk rub and a pat on the head! In my opinion Belgian Malinois are the most intelligent breed of dogs that God has ever created! No matter how smart you think you are, they're always one step ahead of you. All of our puppies come with a 1 year Health Guarantee, Health Records, current puppy vaccinations and current de-wormings starting at 4 weeks old. They also come with a Puppy Starter Kit and a Life-Time of Breeder Support. These puppies have had their dew claws removed. We ship our puppies with United/Continental Airlines throughout the United States of America, and Canada. Alabama, Alaska, Arizona, Arkansas, California, Colorado, Connecticut, Delaware, Florida, Georgia, Hawaii, Idaho, Illinois, Indiana, Iowa, Kansas, Kentucky, Louisiana, Maine, Maryland, Massachusetts, Michigan, Minnesota, Mississippi, Missouri, Montana, Nebraska, Nevada, New Hampshire, New Jersey, New Mexico, New York, North Carolina, North Dakota, Ohio, Oklahoma, Oregon, Pennsylvania, Rhode Island, South Carolina, South Dakota, Tennessee, Texas, Utah, Vermont, Virginia, Washington, West Virginia and Wisconsin. Shipping usually runs about $375.00, but is based upon the size and weight of the puppy when shipped. Shipping covers the cost of the air fare, new shipping crate that you keep and the Health Certificate issued by our Veterinarian. Basically all you do is Select your puppy, Pay for him/her and Pick him/her up at your airport. We are required to also have your puppy micro-chipped. The cost of the microchip is included in the price. Check out our web site at www.4bardworkingdogs.com to learn more about us and see what our previous customers have had to say about us and our puppies. For more information contact Kathy 580-235-8473 any time. I can also be reached by email at rotties4kk@gmail.com. We welcome folks to come out and visit with us and our dogs and puppies. Were located in Central Oklahoma. Please call us before you place a deposit on the Belgian Malinois. Since we know the personalities of the parents, we are happy to assist in trying to find a puppy for you that will work for your wants and needs.